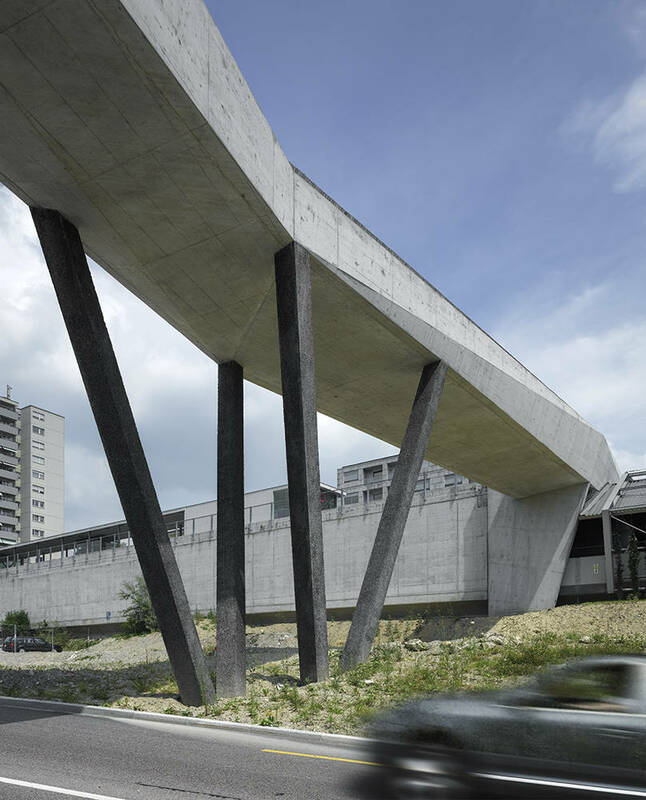 The new pedestrian bridge which links the Metro station and the Bois de Sauvabelin in Lausanne, is a project by the Swiss firm 2b architectes and it represents the new gateway into the city. 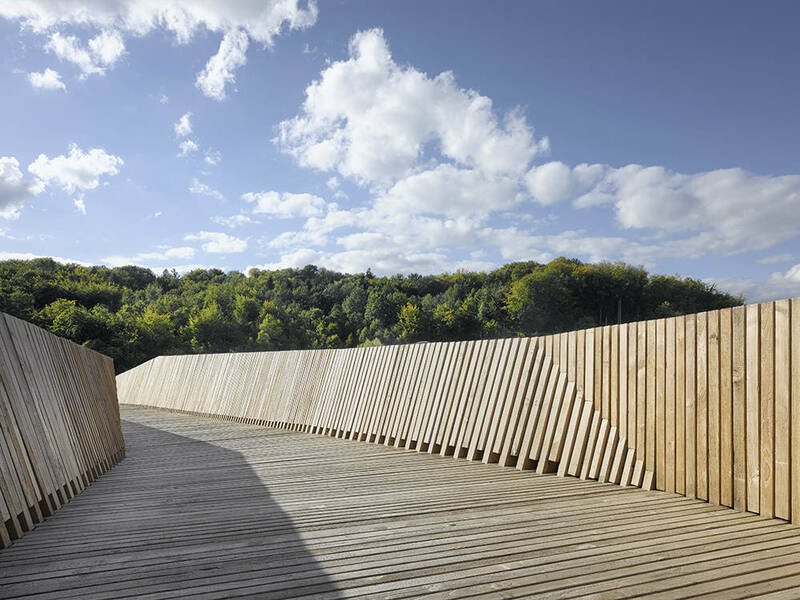 Characterized by a strong dualism, the project becomes a new transition landmark in between the urban plateau and the artificial natural landscape of le Vallon. 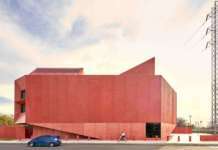 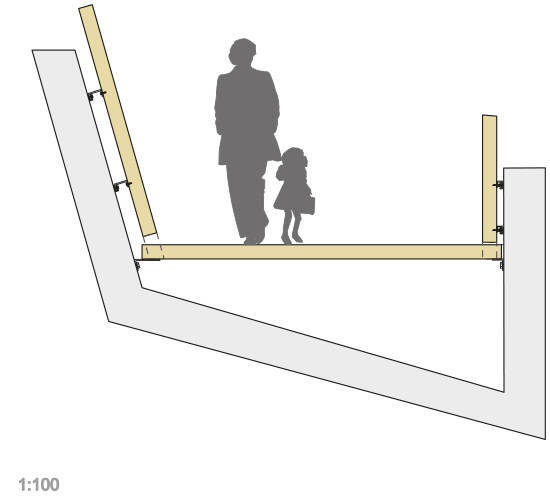 This dichotomy is emphasized by different geometries and the use of two complementary materials: wood and concrete. 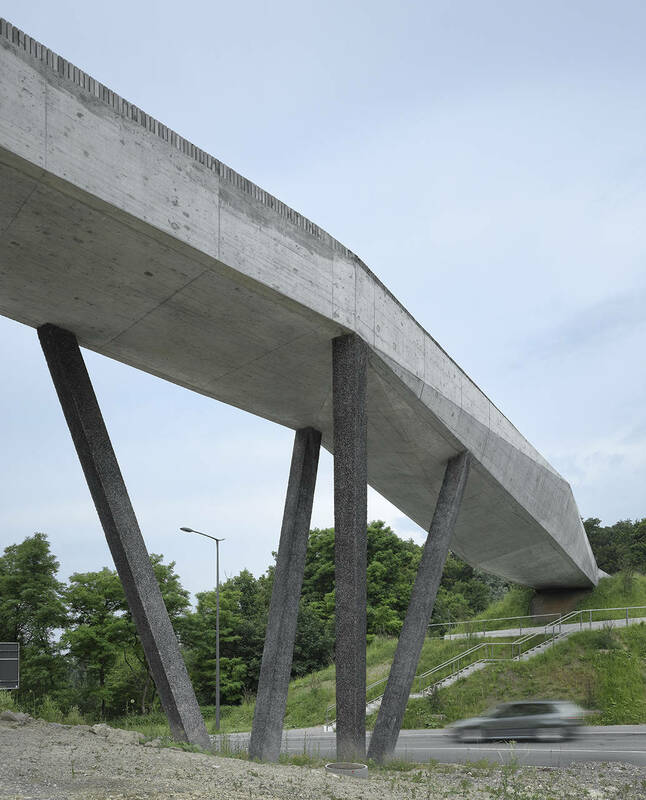 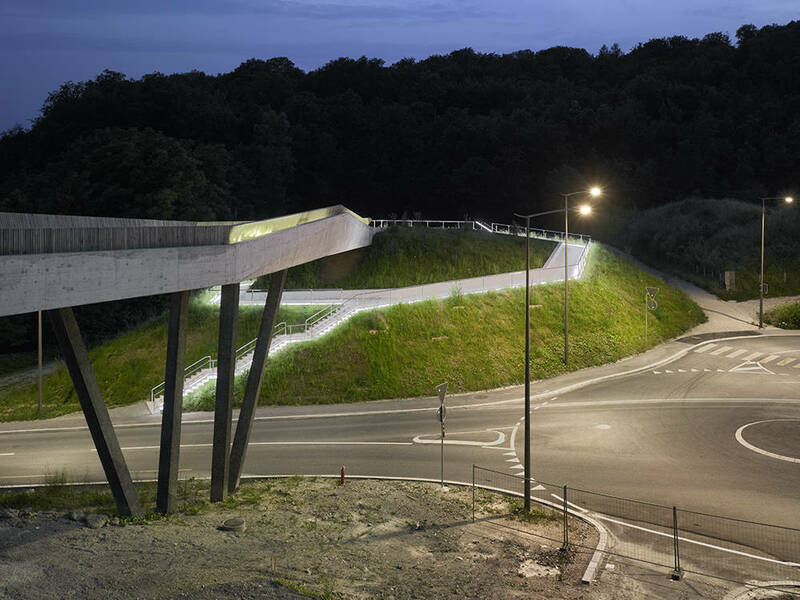 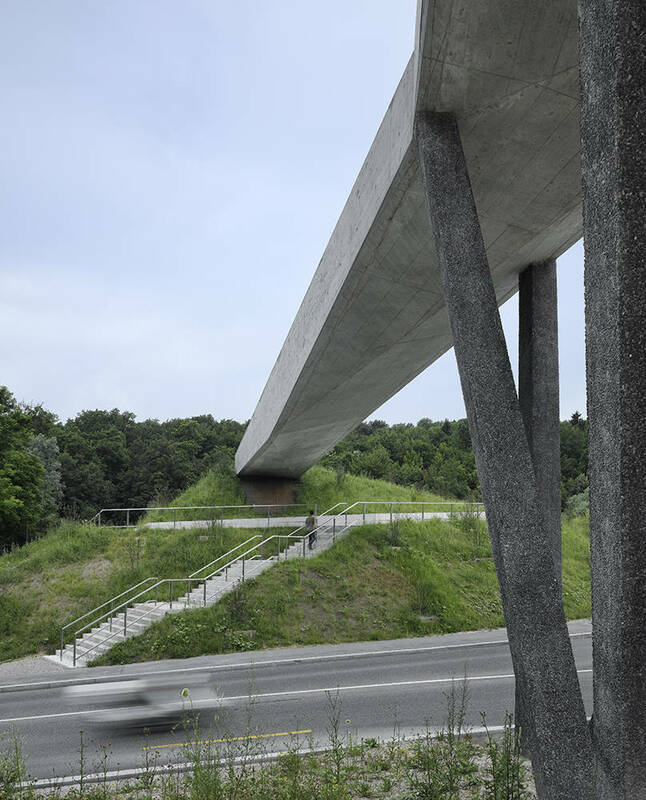 The contrast between these two specific materials, besides providing a static solution, clearly converses with two different landscapes as well: the wooden cozy interior space for pedestrians and an outside concrete envelope facing car drivers rushing by below. 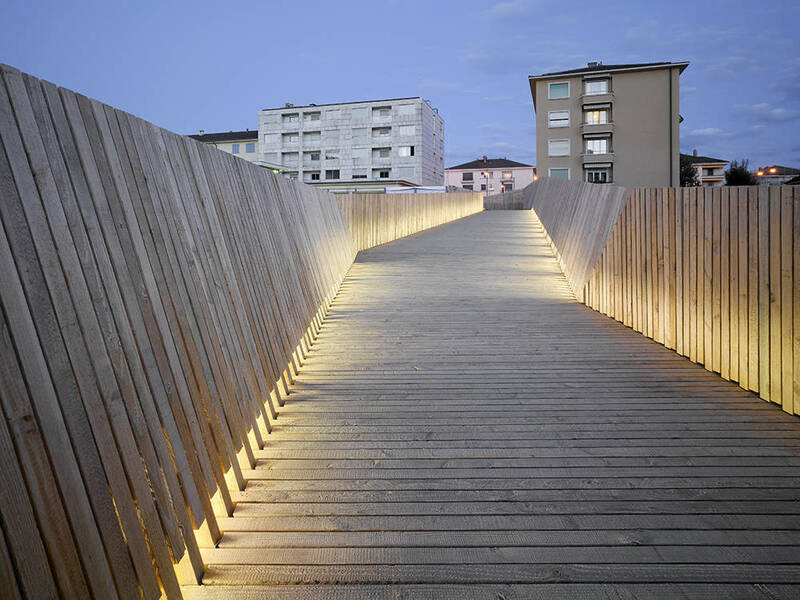 Depending on the perception from the different perspectives, whether one crosses over the bridge as a pedestrian, or under it as a car driver, the design presents its play of criss-crossing lines between the square at the end of the bridge and the street. 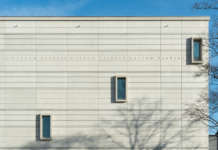 In so doing it marries the two spaces seamlessly. 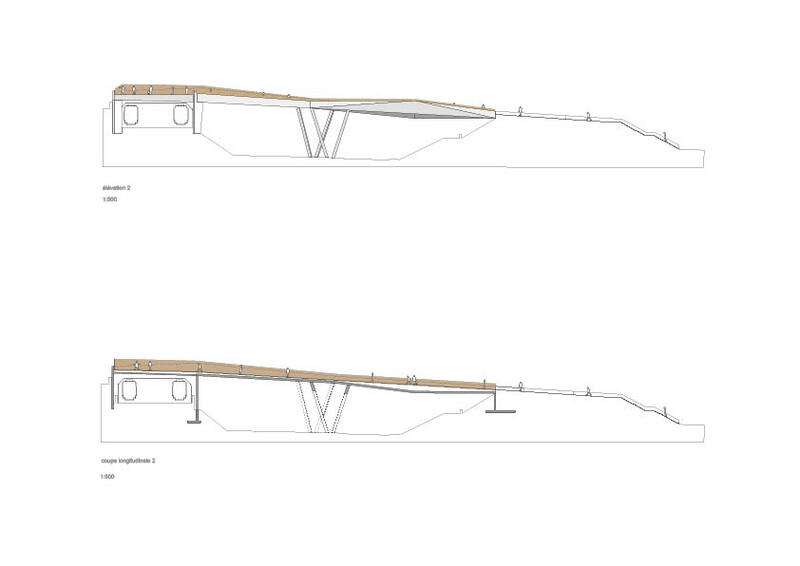 On the opposite side, the construction rests on the mound of rubble created while the Metro was being constructed. 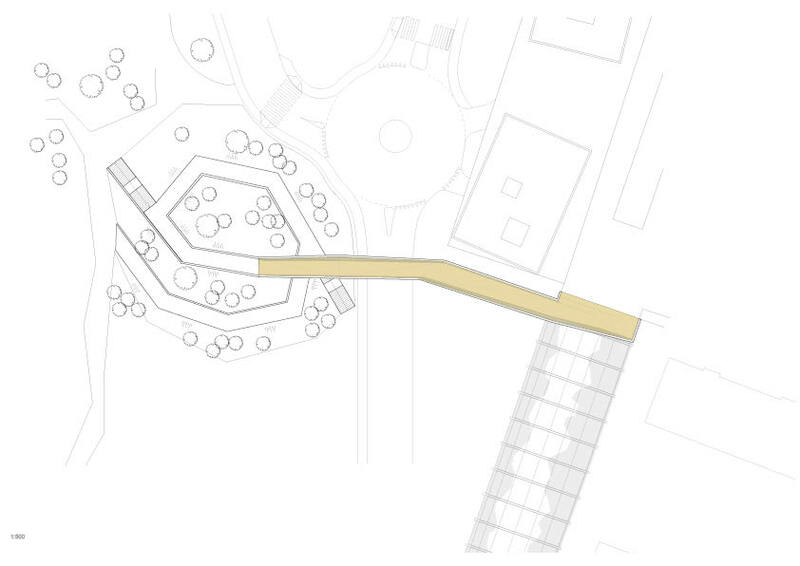 There, the atmospherically charged course is continued over the ramp, leading downwards in a large spiral through the dense ornamental shrubbery.